•A good trick to managing your Outlook inbox and keeping it tidy is by creating and organising subfolders for specific emails such as invoices and payments, or if they’re from certain person or company. Doing this makes keeping track and finding emails easier, plus it gives your inbox an overall tidier and less cluttered look. To do this just right click on ‘Inbox’ and select from the drop down menu ‘New Folder’, give it a name and voila! You now have a more organised space for you to put your emails. Did you know that you can use Google as a timer? Simply type “timer for ” into the Google search engine and your timer will start as soon as you complete the command. It will then sound an alarm to let you know that your time is up. Whether you’re a cyclist or a runner, you’ll know all about the hours of planning and dedication that’s required to be successful. But did you know that exactly the same qualities can help you achieve your financial goals? Here are five lessons to get your money moving faster. Whether you have a time in mind, or you just want to reach a milestone, you know how important it is to start with a goal. The same goes for saving and investing. When you know the kind of future you’re planning for and what you want to achieve along the way, you’ll be better motivated, better focused and better financially prepared. So whether you want to retire comfortably, buy a home, or take the holiday of your dreams, start by setting a target you can focus on. You can’t just wake up the week before a big ride or run and decide to be part of the race, with no training or preparation. And you can’t just wait until you turn 60 before you start saving for retirement. If you’re a cyclist or a runner, you know the earlier you start training, the easier it is to build up speed and strength, little by little. Similarly, the earlier you start saving, the more time you have to earn interest on your interest and returns on your returns, so you can finish in style. Long rides and runs are all about lasting the distance. Try and do too much, too quickly, and it could all end earlier than you planned. The same goes for investing. A disciplined savings plan that builds your wealth gradually is a very effective way to get you where you want to go, without suffering too much pain along the way. Even a small amount can build up to something surprisingly big over time. You probably know that a varied training regime is better than simply running or cycling kilometre after kilometre at the same pace. Just as you should mix up your training sessions with intervals, hills and cross-training, it makes sense to use a variety of different investments to spread risk and to better enable you to reach your lifestyle goals. So while it may be tempting to focus on paying off your mortgage, don’t forget to pay attention to your super and other investments as well. A mix of investments inside and outside of super could help you achieve your goals both now and in the future. Every runner and cyclist would perform better with expert advice from someone who knows the race profile, the terrain and devises a personalised training program. And that’s exactly the role a financial adviser plays when it comes to managing your money. So if you’d like to achieve a financial PB (Personal Best), consider talking to us. * Based on an investment return of 7.7% pa, inflation of 3% pa. This example is for illustrative purposes only and returns are not guaranteed in any way. *John Flanagan is an Authorised Representative of RI Advice Group Pty Limited (ABN 23 001 774 125), AFSL 238429. This editorial does not consider your personal circumstances and is general advice only. It has been prepared without taking into account any of your individual objectives, financial solutions or needs. Before acting on this information you should consider its appropriateness, having regard to your own objectives, financial situation and needs. You should read the relevant Product Disclosure Statements and seek personal advice from a qualified financial adviser. From time to time we may send you informative updates and details of the range of services we can provide. If you no longer want to receive this information please contact our office to opt out. The views expressed in this publication are solely those of the author; they are not reflective or indicative of Licensee’s position, and are not to be attributed to the Licensee. They cannot be reproduced in any form without the express written consent of the author. Aly Garrett has recently published an article on Linkedin called Digital Disruption: Educating the future workforce. It’s often said that building financial wealth isn’t a function of how much you earn, but how well you manage it. 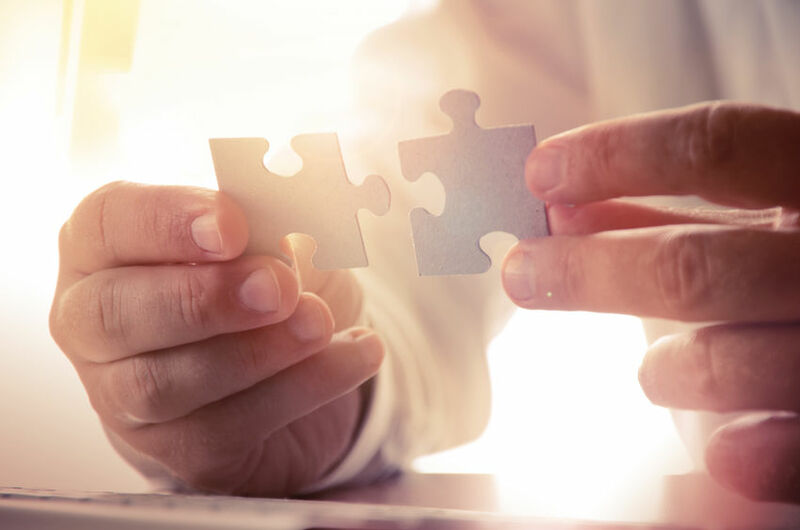 If you want to consider how to build your wealth, chances are you could use a little guidance, so here are some strategies that a financial adviser can talk you through to help you make the most of your hard earned cash. With so much focus on direct deposits and cashless payments, it doesn’t take long to become separated from how much you earn and spend. A financial adviser can show you how tracking what you spend will not only help you understand where your money is going but, more importantly, where the leaks are. After they help you revise your budget and start directing your money into what is necessary and important to you, you will be amazed at how quickly your financial situation can improve. A good rule of thumb is to always have three months’ worth of living expenses set aside for emergencies. Given this could take some time to build up, a financial adviser can help you decide on a realistic savings goal – taking into account some inevitable slip ups along the way! Having an emergency fund in place not only makes good financial sense, it also gives you peace of mind that you have money available should something unexpected happen. Investing small amounts regularly is one of the easiest ways to save for what you want in life – an overseas holiday, a new car, a deposit on your first home or your children’s education. After reviewing your situation, a financial adviser can show you how much you have available to invest and what is most appropriate for you to invest in, based on your risk profile. Even if you start with just $100 per month, it won’t take long before you start seeing your investment building up nicely. Having this amount taken out of your salary as soon as you get paid means you will soon get used to living without it. Many people don’t have enough insurance to protect themselves, or their family, because they believe it is too expensive. A financial adviser can show you a number of ways to get appropriate cover, one of which involves taking out life insurance within your superannuation fund. Having your premiums paid by the contributions and earnings within your super fund means your insurance cover will not impact your day-to-day cashflow. Plus, you may also get access to a ‘group policy’ by doing it this way too, which often gives you better value cover than what you would receive by taking out insurance on your own. No matter what the cost of insurance or how you structure it, you cannot argue the value of protecting your lifestyle and your loved ones. You may just need guidance on the most cost-effective way to do so. Managing your finances and implementing strategies to build your wealth can be confusing, time consuming and for many of us…a bit boring! But with a little guidance, it can be a very fulfilling experience. A qualified financial adviser has a range of tools and strategies that can help you stay in control of your finances and make the most of what you have. They will work with you to focus on what is important to you and the options available. Get in touch and let’s sort out your cashflow, it could be the most useful meeting you have this year! Contact our office today and make an appointment with one of our professional financial advisers. ‘The future of retail relies on the shifting sands of consumer technologies, keeping up with the trends will dictate any retailer’s success.’- Simon Banks (Director of Merchant Service, Paypal Australia). •	eCommerce – spend more time growing your online store and less time managing your finances. Do you want to find out more about Xero ecosystems? CMS Strategic invites you to attend our seminar (20th October 16:00 pm @ Level 4, 190 Flinders Street, Adelaide) which helps you to find out how your business can streamline processes and increase productivity leading to time savings, cost savings and improved accessibility and functionality. If you can’t attend our seminar, the following Xero video – ‘A Day in the Life of a Retail Business’ is using a day in the life scenario. You’ll see the workflow of a store and how one business owner addressed pressing needs through Vend and Deputy. These solutions start with seamless, synced data across applications – which delivers time savings in Xero. 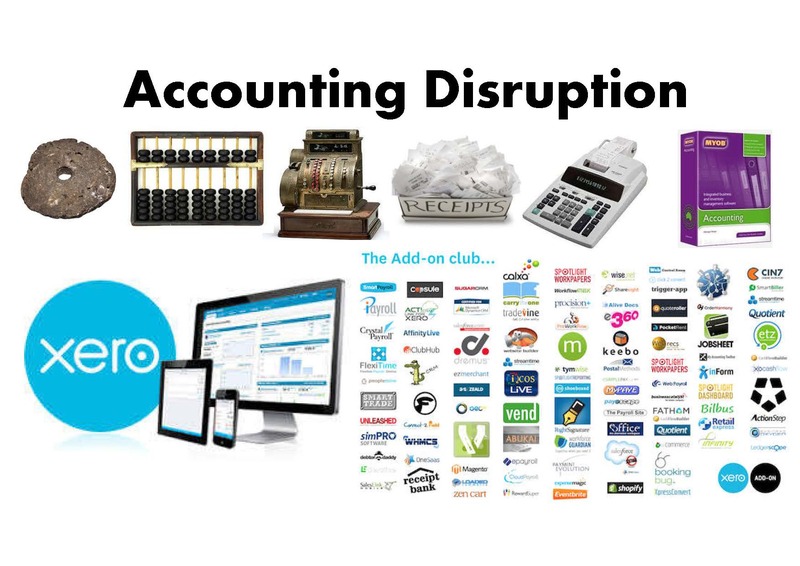 The accounting revolution is in full swing with a tsunami of technology bringing productivity efficiencies and gains and allowing business to have real time data to make real time decisions anywhere, anytime. inventory, HR, receipts, management reporting, CRM and the list goes on. What a revolution! Is your business keeping up with the technological changes? At CMS Strategic | Cloud Solutions we can help you. Why don’t you call us today.